A number of Southern California dealerships told the NBC4 I-Team that customers may have to wait four to six weeks for parts. General Motors car dealerships were supposed to start receiving replacement parts for the 2.6 million vehicles that have been recalled due to faulty ignition switches nearly two weeks ago, but many dealerships in Southern California said they have yet to receive them, the NBC4 I-Team has learned. 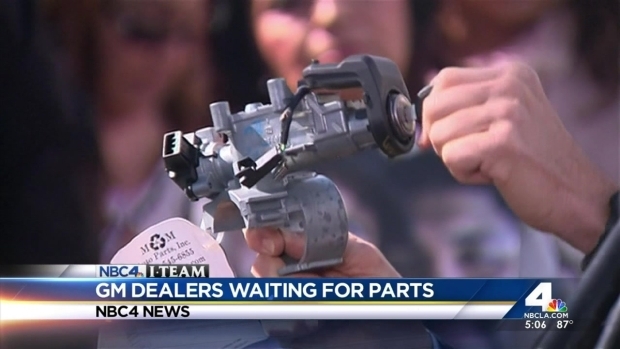 The NBC4 I-Team reached out to 25 dealers in a five-county region and only two said they had received some parts – but not nearly enough to take care of their entire customer base needs. The faulty ignition switch can move out of the “run” position due to a heavy key ring or jarring from rough roads. In turn, it can cause the car’s engine to stall and knock out power steering and power brakes, making the vehicle difficult to maneuver. It can also disable the front airbags. General Motors was supposed to begin offering replacement parts for the recalled faulty ignition switches. SoCal customers may have to wait for the replacement part to be in stock. Joel Grover reports for the NBC4 News at 5 p.m. on Monday, April 7, 2014. The faulty ignition switch has been linked to 31 crashes and 13 deaths, GM admitted. The vehicles being recalled include: Chevrolet Cobalts and Pontiac G5s from the 2005 through 2007 model years; Saturn Ion compacts from 2003 through 2007; and Chevrolet HHR SUVs and Pontiac Solstice and Saturn Sky sports cars from 2006 and 2007. Most of the cars were sold in the U.S., Canada and Mexico. In one of the biggest auto recalls of all-time, Toyota is recalling more than six million vehicles worldwide for a variety of problems. Gordon Tokumatsu reports from Santa Monica for the NBC4 News at 5 p.m. on Wednesday, April 9, 2014. 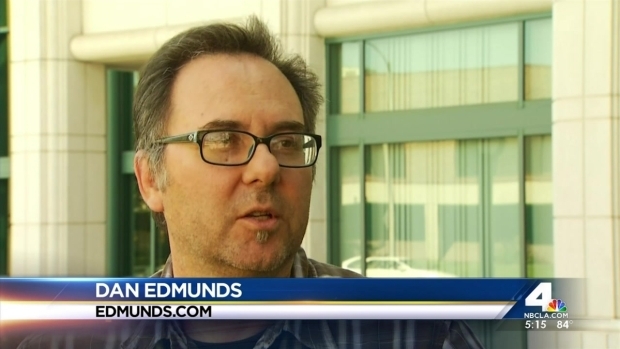 A website has been set up to help consumers understand the recall and how to avoid problems. On it, there are claims that "parts are being delivered to dealers and vehicles are being repaired." However, a number of Southern California dealerships told the NBC4 I-Team that customers may have to wait four to six weeks for parts. NBC4 I-Team reached out to GM. GM responded Thursday with a statement. "We are committed to getting parts to our dealers and repair vehicles as quickly as we can. Parts are just starting to flow to dealers and availability will build continuously throughout the spring and summer," the statement read. If you are unsure whether or not your car is part of the recall, call your local dealership and give them your VIN number. If your car is part of the recall, the dealership will call you when the necessary parts come in for replacement.